The Wyoming Game and Fish Department on Tuesday confirmed the presence of Chronic Wasting Disease in three Wyoming deer. According to a department news release, a doe mule deer was found dead near Thayne in hunt area 145. The department sent it to the Wildlife Health Laboratory in Laramie, where the deer tested positive for Chronic Wasting Disease. Two mule deer near Cody also came back positive for CWD in a just-completed round of testing. The department says one of the deer was found dead east of Wapiti in deer hunt area 111, while the other was found within the Cody city limits in deer area 113 exhibiting signs of illness. The three deer represent new deer hunt areas in which deer have tested positive for CWD. Since 2003, the department has collected over 2,600 CWD samples in and adjacent to deer hunt areas 111 and 113. The department has sampled over 2,400 animals for the disease in and adjacent to deer hunt area 145 since 2003. West of the continental divide, a moose tested positive in Star Valley in 2008 and three mule deer within the city limits of Green River tested positive in 2012. 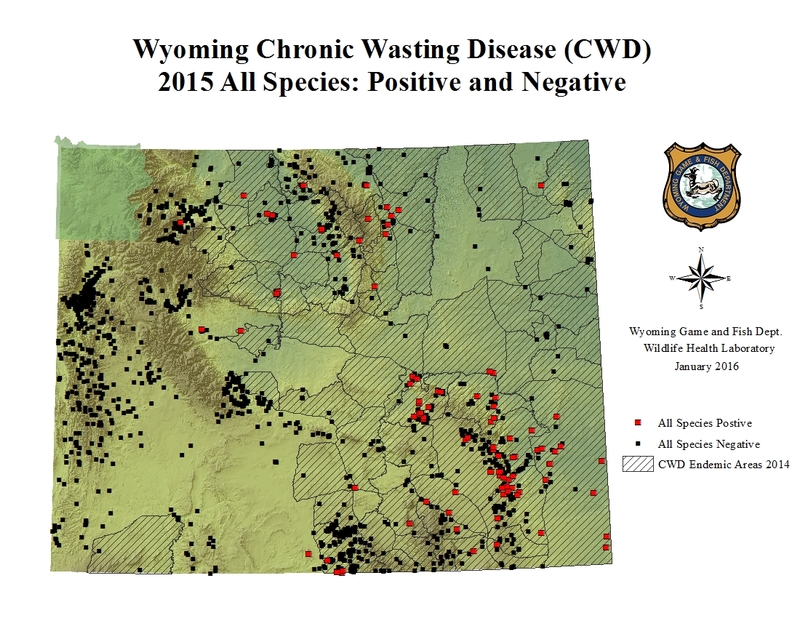 Wyoming wildlife test positive for the disease each year. See a map of last year's testing results here. The department recently updated its CWD management strategy and was directed by the Wyoming Game and Fish Commission to bolster efforts to manage the fatal disease.